Dicks, who had no professional involvement in audio engineering at the time, had become fascinated with certain fundamental problems of audio transducer behaviour. After years of mathematical modelling and experimentation, he had created a design that he believed decisively surpassed the then state of the art. By 1980 Dicks had succeeded in developing an extremely impressive sounding prototype based upon his innovative design concepts. He had also developed a complete theoretical model of the device’s operation. He expected these at the very least to elicit some degree of interest from the loudspeaker manufacturing industry. To his dismay, the numerous driver manufacturers he contacted throughout Northern Europe all responded with either condescension or disinterest. It was only in the early 90s, after a series of prototypes had been heard by a number of audiophiles, that Dicks was finally contacted by a German company called Mainhattan Acustik, run by Holger Mueller an audiophile and IT expert. They made high quality loudspeakers employing conventional drivers and sold moderately well in Europe and the Far East. They also supplied drivers to a number of leading high-end audio manufacturers. In contrast to the rest of the European loudspeaker industry, Mainhattan showed the first real interest in his work. Mueller, was intrigued from the start. The prototype which Peter Dicks had developed was on the face of it a derivative of a design for which Mueller already had the highest regard, the famous Walsh Driver, invented by legendary American transformer engineer, Lincoln Walsh. 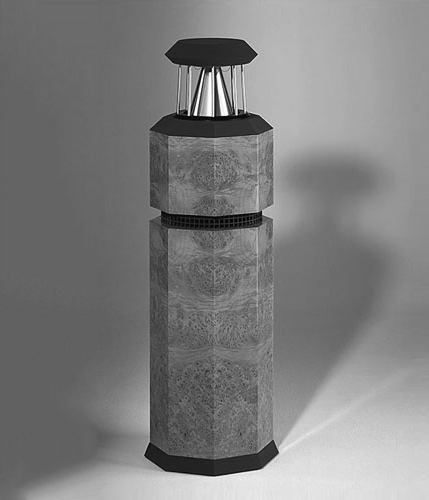 Mueller himself owned a pair of Ohm F loudspeakers that used an early version of the Walsh driver and had always felt that the design had enormous untapped potential. As he examined Dicks’ prototype and pored over the detailed design notes, he saw that much of that potential had now been realised. For the next two years they worked to extract every improvement in performance that the new driver, now called the DDD driver, was capable of. Not satisfied with superb laboratory measurements and the unbridled enthusiasm of his listening panels, Mueller initiated an exhaustive life-testing program to ensure the absolute reliability of the driver under the most severe conditions of use. In parallel Dicks worked on fine-tuning the computer model and the physical realisation, while Mueller worked on the aesthetics and industrial design, because he believed that the design of the driver must strongly express the company’s commitment to innovation through engineering and overall elegance of visual form. Finally in 1992, Mueller was satisfied and the first loudspeaker to use the DDD driver came off the production line. This was the Borderland MK I and it was marketed under a new brand name: German Physiks. The Borderland MK I met with immediate approval, quickly gaining sales in the Far East, a region that had historically been an excellent but demanding market for high-end audiophile products. The rest is, as they say, history. The German Physiks range of omnidirectional loudspeakers now comprises 14 models and they are sold in over 30 countries around the world. 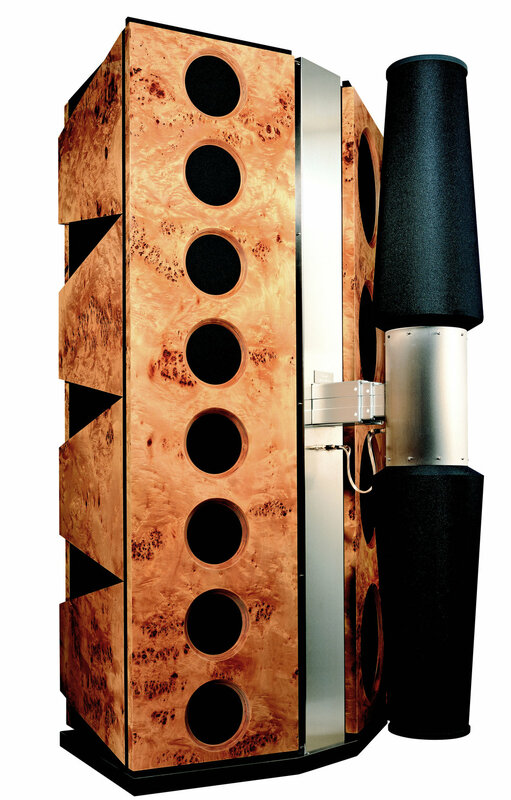 The range runs from our entry level Unlimited Ultimate, to our flagship, Euro 300,000 Gaudi: a 700kg behemoth that has a frequency response extending down to 15Hz, can produce sound levels up to 120dB and fill rooms up to 300 square metres (3,200 square ft) in size. Omnidirectional loudspeakers have gone from being a curiosity that few people were aware of and even fewer had actually heard, to a class of loudspeaker that you will find at almost any major audio show and the DDD driver’s numerous technical advantages mean that German Physiks can justifiably claim to offer the best omnidirectional loudspeakers in the world. Now that German Physiks is firmly established in the high-end audio market, we plan to introduce several new ranges of products. These will include high-end and mid-level ranges of electronics, another loudspeaker range and a range of cables, so please come back to our web site from time to time to see what we have been up to. You will also find the very latest German Physiks news on our Facebook page.